Resistance training is the base of any good physique. It requires the right amount of timing, intensity and overall commitment. There are many exercises in which you can perform to achieve that result. Dumbbells are the backbone to any training program. This is a complete list of dumbbell exercises with images or pictures. Come back often to see the latest exercise. We are always adding new ones. 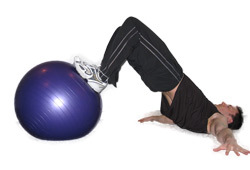 Ball exercises are known for their benefit to stabilizer muscle groups. 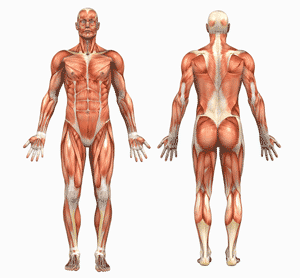 However, they also help isolate a muscle and allow the prime mover to do the work. Ball exercises are also used to train many high level athletes due to the balance required to perform an exercise upon an exercise ball. What is so great about stretching and flexibility? It slowly increases your bloodflow and gives your muscles a chance to prepare for exercise. It's best to do dynamic stretching before a workout after a 'go until you sweat warm-up'. The best time to do static stretching is at the end of a workout when your muscles are already warm. This is a complete list of isolation exercises that you can complete. Isolation exercises are important to completely fatigue a muscle to exhaustion. It should be noted that isolation exercises should not be the focus of any specific workout routine as compound exercises provide a better overall result. This is a complete list of cable exercises. We are always adding new ones so come back soon to see which new cable exercises were added. What is the advantage of using cables to complete your workout program? Well, unlike with dumbbells, gravity isn't the only force against your muscles and cables can train your muscles in a different manner. Many athletes use cables to mimic certain motions related to their sport. This section contains all sporting/cardio type activities in which you could complete. Cardiovascular exercises are extremely important and should be completed at least 3-5 times per week with 30-60 minutes in duration. The Pilates system focuses on increasing flexibility and strength, without building bulk. Pilates is a series of controlled movements specifically designed exercise apparatus. Pilates of body conditioning promotes balance and a lengthening of muscle for people of all ages and physical conditions. Elastic bands have recently gained a lot of praise within the fitness industry. We believe this is because you can train your entire body using the elastic band; not to mention it can fit in your pocket. If you prefer the style that you can clip on different resistances, they also fit nicely in a carry-on bag. Plyometrics can help maximize power in the stretching and shortening cycle of a muscle or muscle group. They also promote reflex power through a broader range of motion than most endurance athletes use. The balance and strength aspect of the movements allow for development of optimal efficiency. These exercises also train an athlete to absorb shock better, improving resiliency in the joints and soft tissue. What is plyometrics? This is a complete list of core strength exercises that you can complete at a workout facility. Core strength is extremely important to acheive maximum muscular strength.Also core strength is required for any sport in general. This is a complete list of machine exercises that you can complete at a gym. Workout machines/equipment are great for beginners and trainers and athletes who train without a spotter, or want to complete advanced training principles such as drop sets, pyramids, etc.. This is a complete list of calisthenic exercises that you can complete at a workout facility. Calisthenics exercises are great for the beginner athlete and endurance trainers. Calisthenics have been shown to help speed muscle soreness the day after a hard workout. 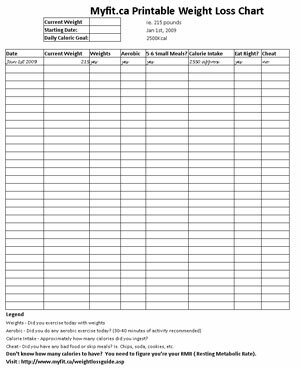 Exercise charts allow you to keep track of your progress through printable charts that you can post on your fridge or at the gym while you exercise. 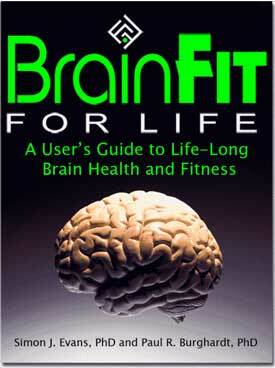 Brain exercises keeps your mind active and keeps you mentally alert. It also enables you to stay focused on your tasks. It's worth the effort and it's possible that exercising your brain can ward off diseases of the elderly such as Alzheimer's disease. Inactive individuals were twice as likely to develop Alzheimer's, compared to those with the highest levels of activity (exercised vigorously at least three times a week). It's worth noting that even light or moderate exercisers cut their risk significantly for Alzheimer's and mental decline. Always warm up and move until you sweat. This prepares your muscles for exercise. One of the most important things to remember with working out is to vary your Frequency, Intensity, Time and Type. Your cool down should consist of static stretching and a slow cardiovascular exercise for 5 minutes. Make sure to breathe out on exertion and breathe in during the easy part (eccentric phase of the exercise). This article explains the importance of breathing during exercise and why it is important. - Try some Advanced Weight Training Principles to never let your body reach a plateau. - Make sure you try and switch up your intensity/sets/reps/weight weekly. This will help prevent any plateauing which may occur. You may also want to switch goals entirely after a few weeks. This technique is known as periodization.